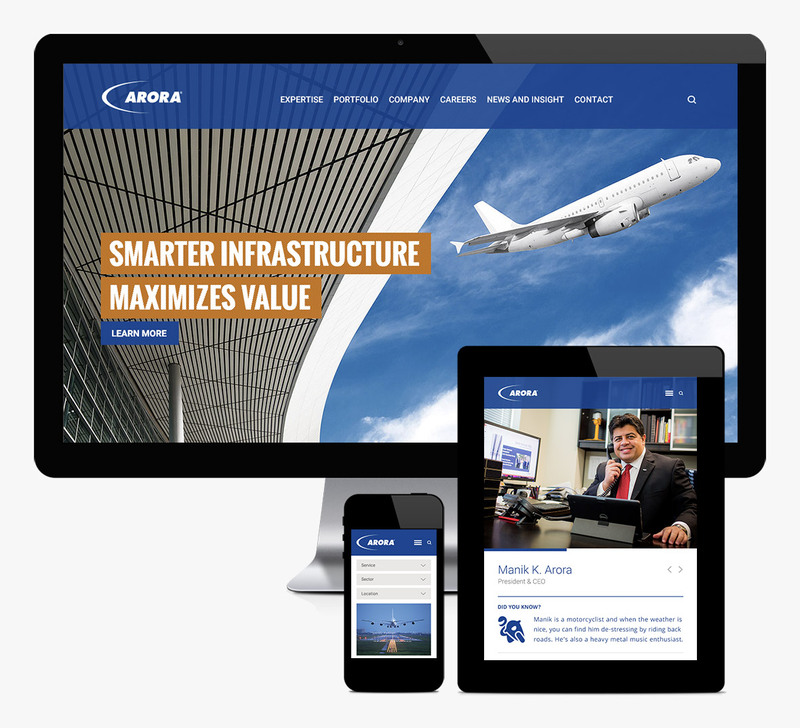 Arora is an engineering firm serving the world’s most critical industries – aviation, transportation and education. 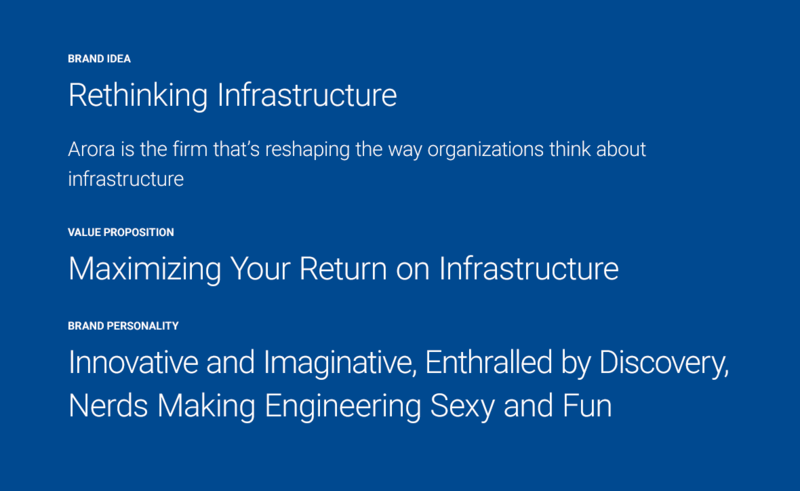 Having made the strategic decision to grow by nearly 900% within three years, Arora needed a brand that would align perceptions about the firm with the end goal. 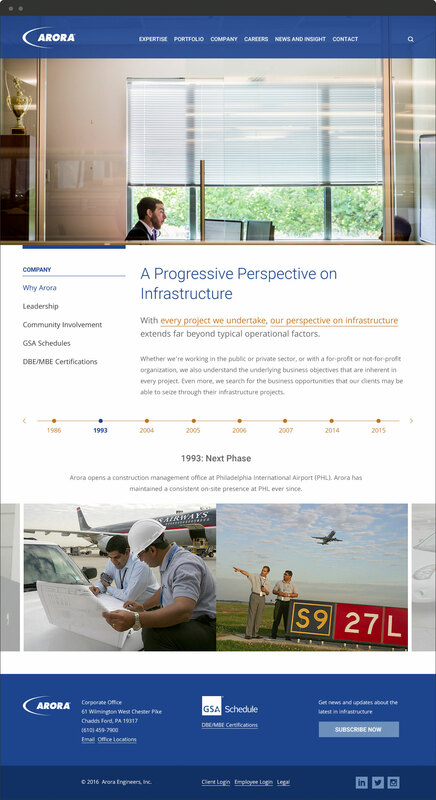 Through an extensive discovery process that included internal sessions with key stakeholders, customer interviews and competitive analysis, Substance151 determined there was an opportunity for Arora to claim a truly unique position aligned with the firm’s view of the role of infrastructure. 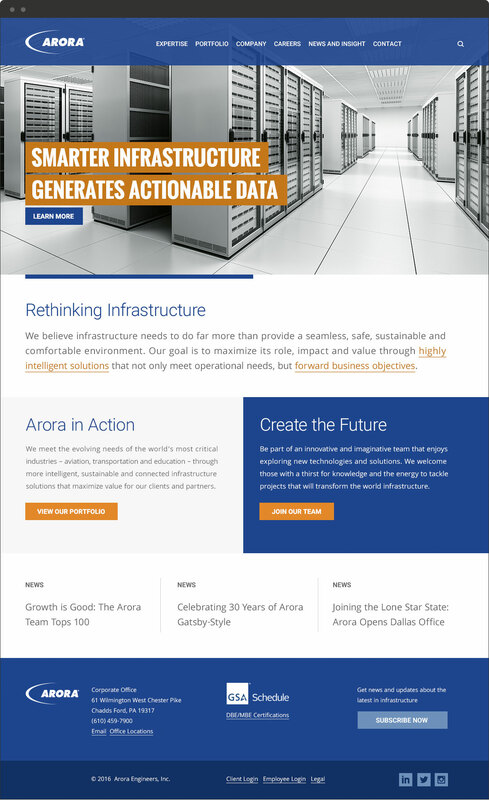 While customers perceived infrastructure as “that invisible stuff that makes things work” (necessary, but not exciting) and while competitor marketing focused on the most expected messages such as ease and safety, Arora saw infrastructure in a more visionary way – as a business tool and profit center – and was actively pursuing ideas and technologies in support of its forward-thinking perspective. 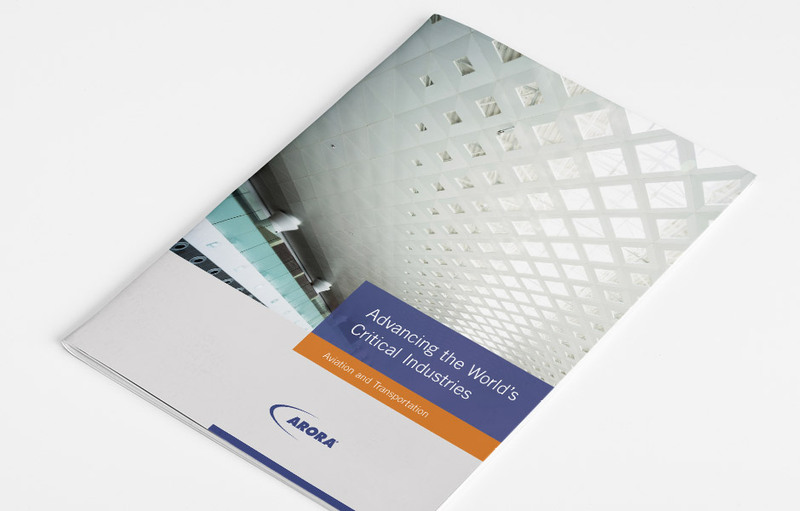 Working with Arora’s leadership and marketing team, we translated the brand platform into ideas and language that enabled Arora to immediately communicate its capabilities and value to the firm’s target audiences and brand stakeholders. 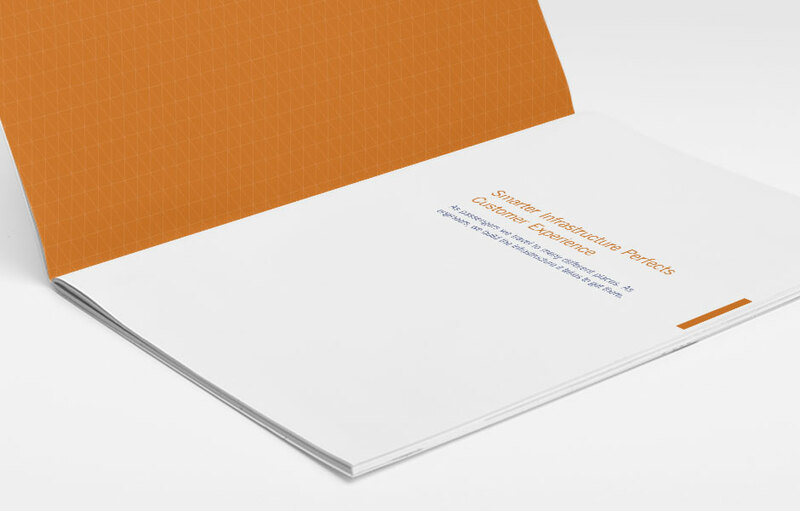 Substance151 redesigned Arora’s marketing collateral, bringing clarity and visual impact to print materials and digital templates, and developed a comprehensive style guide to help Arora maintain consistency across all communications. 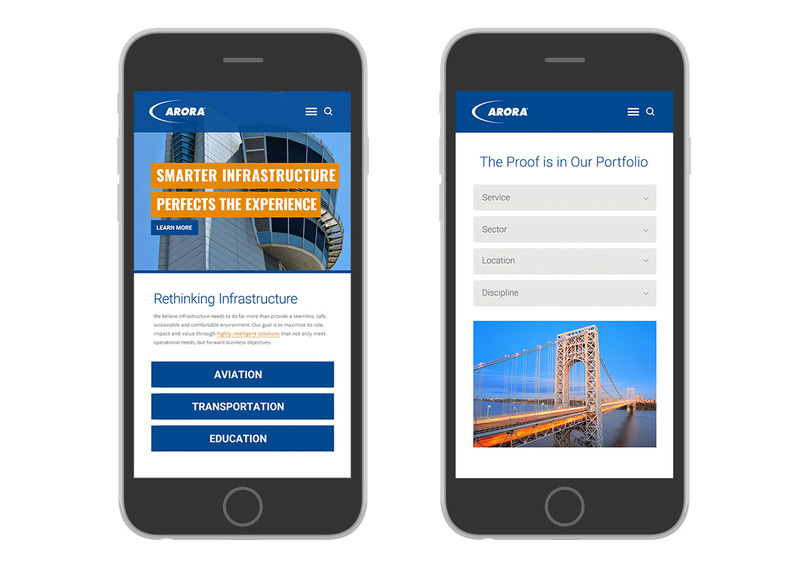 We redesigned Arora’s website – an online extension of the new brand – completely revamping its structure, content and functionality to create a more rewarding user experience. Need help planning your next website redesign? 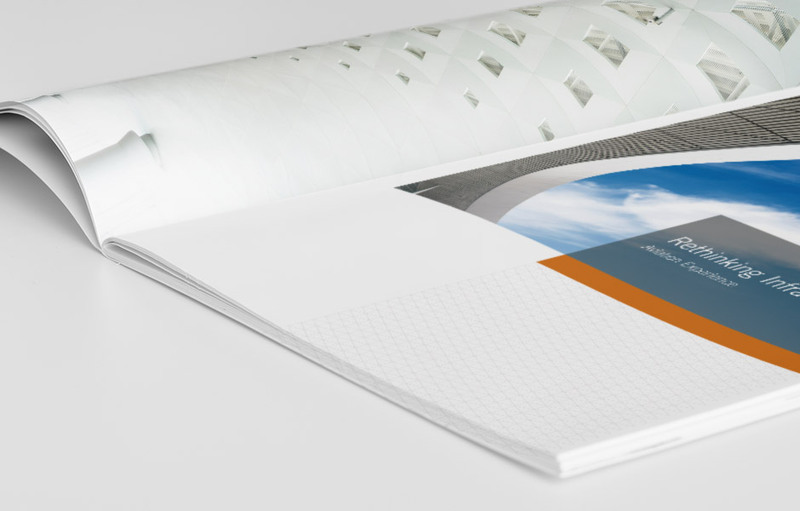 Download our Ultimate Website Redesign Planning Guide. 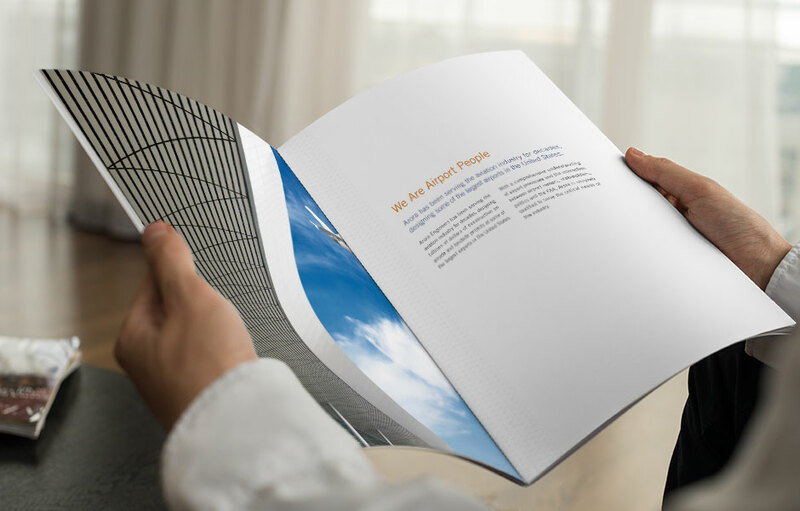 The new brand and all its expressions and extensions now align with Arora’s point of difference and support its ambitious growth plan, which ultimately will help the firm achieve its goals faster. Adam Oliver, Vice President, Marketing and Business Development, Arora Engineers, Inc.